Anyone wearing them ?? If so,, What kind for playing?? Past 2 months ears have been ringing,,Don,t know if it,s from Guitar or not but started reading about ear-ringing on various Guitar forums...Gave these plugs a try..Kept volume for RS where i normally do (fairly loud through a 42" flat screen), and started playing..Heard it well enough that it didn,t affect my playing RS..Tried them playing through my amp and same thing...They still feel a little uncomfortable ,,,but after reading what others have to say about ringing ears and how it might be too late to do anything about it,,,just hoping that these will help it from getting worse. .......hold on a sec,,,,,WOULD SOMEONE ANSWER THAT DA@N PHONE!!! oh sorry ,,,guess it,s my ears! If you need earplugs at home, you should seriously reconsider at what volume you are listening to music... You are simply destroying your ears and you won't ever get it back, earplug should only be used in situation were exposure to loudness can't be avoid (usually venues and music festival it's where it's useful). Everyday life shouldn't requires you to wear protection. And if your ears are ringing for more than a week, you should seriously see a doctor, it's not normal and if anything can help prevent further damage is to see a profesionnal about it. Really don,t think it,s from RS or amp....More like hammer drills and grinders and general noise of construction the likely culprit. Used to go to this place Fri nights,",Panic Bar "was the night,s name..All alt music Blasting (loved that heavy bass drumming through me)...Leave there 2 AM and man,,,had my bell rung there!! That kind of issue doesn't comes from only one moment of exposure to loud noises though, one instant loud noise isn't much of an issue, it's long exposure to somewhat loud noise and music that makes it bad. Having ear protection is nowadays a must because one people will be exposed to a lot of situation with quite a good amount of dB especially if you go to a lot of music show where it's clearly too loud to be actually safe over long period of time. I use mine at every single show i go to and i even put them when doing balance or if we go a bar with a lot of noise. Ears can't be easily repaired unlike a lot of others stuff and it's hard to really know when you are actually going over the limit because the line is invisible so better be safe than sorry, especially if you are involved in a lot of musical activities. Exactly what are these used for on stage ? Read the descriptions but what exactly would say the singer or guitars players be listening to ?? Or are they used to tone down their sound to them? So it's infinitely better for a musician to use these when playing on stage and it's way safer and greatly diminishes the number of dB you take in your ear. Thank You for the info ! I personally use Elacin Clearsound. 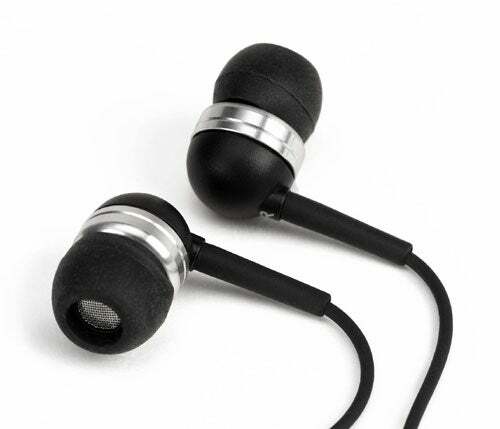 They get fittet to your ear, so they are extremely comfortable. They have 3 variants of special filters to choose from. Eacht beeing more silent then the other. I use them when playing drums and attending live shows and band practice. Here I use the strongest filter. The BIG advantage is, that they only make stuff more quiet. They dont distord the sound at all like with many other cheap ear protection options. But with 160€ here in Germany there are quite costly, but last a livetime it cleaned regularly.